Process Technical Sales was established in 1981 as a manufacturer’s representative and distributor of valves, instrumentation & controls equipment for the textile Industry. Over the years we have evolved into a full service valve automation center for serving customers in the water, oil & gas, mining, nuclear, chemical, pulp and paper and power generation industries as well as remaining committed to the textile partnerships formed in our company’s infancy. Our goal is to quickly provide the highest quality products and services to our customers at the best pricing possible. We have over 34 years of experience in the evaluation, selection, assembly, calibration and distribution of valves, instrumentation and controls equipment. The products we represent are leaders in the industry for quality, service, reliability and innovation. We specialize in specifying, sales, and support of severe service valves, instrumentation & controls for extreme temperature, pressure, flow and level in critical and hazardous applications. 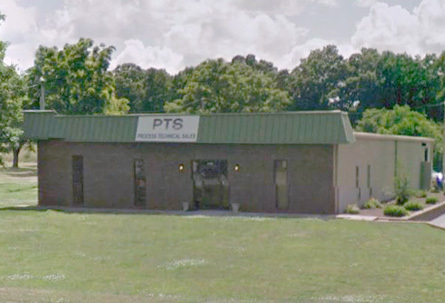 While a long term preferred supplier to our industry, PTS continues to boost its product offerings and to provide both before and after the sale superior technical support. With this approach toward business, expect them to easily remain a leader in our preferred listing of suppliers.